This upcoming season, the Manchester Storm family will be even bigger. 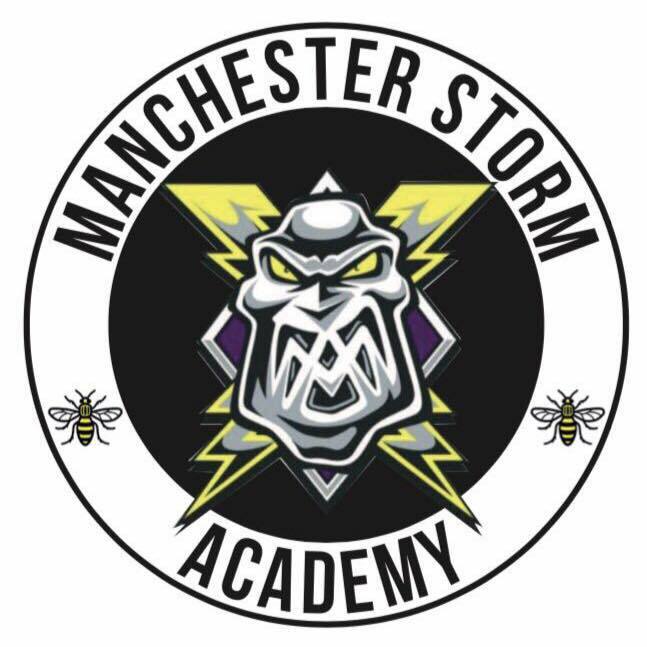 After extensive talks, the Trafford Tornados will become the Manchester Storm Academy for the 2017/18 season. This means that from September there will be a full junior development system wearing Storm colours. For the first time in the Storm’s history, there will be a direct route from kids learning to play hockey at Silverblades Altrincham right the way through to the Elite League. “This is a really important step for us, we want to have kids from Manchester playing at a club where we can monitor their development with the aim to one day see them in the Storm lineup. We have a lot of knowledge and experience in the hockey world and we want to offer as much support to the junior players and the junior coaches as we can.” Said Storm Head Coach Ryan Finnerty. Former Great Britain defenceman Mark Thomas will work with both clubs to ensure the best talent is identified. “It is always going to be tough for young British players to get the ice time and development opportunities they need to reach the top level. One of the key things is about identifying talent early and then tapping into the Storm’s knowledge and coaching staff to take them to the next level. Last season the Trafford Tornados had 76 junior players ranging from 6-18 years of age and they had some success on the ice. 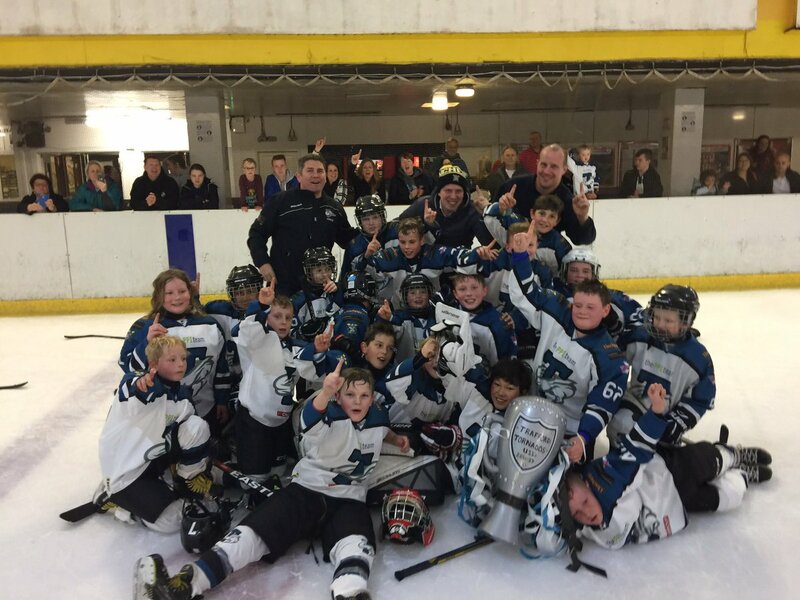 The U11’s won the EIHA Northern Conference and had five players feature for the North of England and three players represent England in a select side against Scotland. “This is a great move for us as a club. The junior section has stabilised over recent years and we are starting to see our membership increase again, which is what we need. 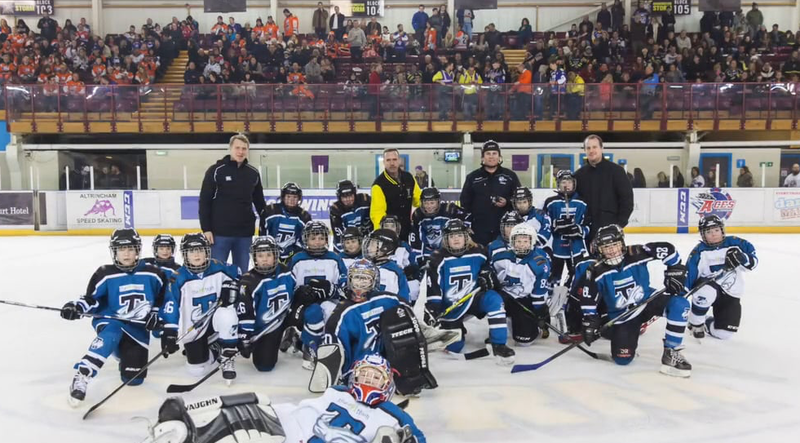 Finnerty had his first taste of junior hockey in Manchester on Saturday, when he put on a skills session with Crawley and Thomas ahead of an U11s 3-on-3 tournament. 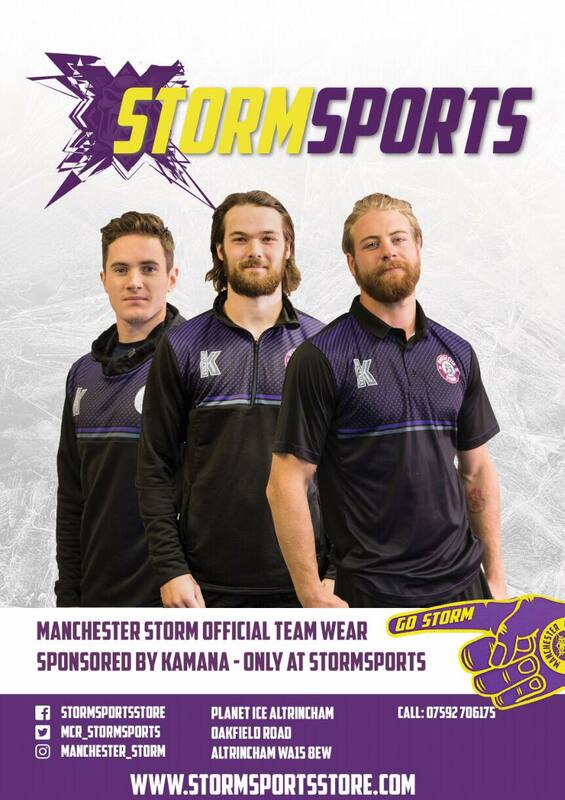 This is an exciting new chapter for the Manchester Storm and the Manchester Storm Academy. Both parties are looking forward to working together to make the Great Britain and Elite League players of the future. Welcome back to Manchester Ciaran Long!